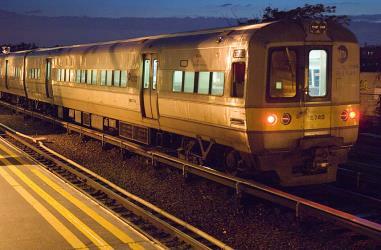 What is the cheapest way to get from Orient Point to Hicksville? The cheapest way to get from Orient Point to Hicksville is to drive which costs $7 - $12 and takes 1h 42m. What is the fastest way to get from Orient Point to Hicksville? The quickest way to get from Orient Point to Hicksville is to drive which costs $7 - $12 and takes 1h 42m. Is there a direct bus between Orient Point and Hicksville? No, there is no direct bus from Orient Point to Hicksville. However, there are services departing from Orient Point and arriving at W John St + Wycoff St via Main St/Horace Harding Ey N and Jamaica Bus Terminal. The journey, including transfers, takes approximately 5h 14m. How far is it from Orient Point to Hicksville? The distance between Orient Point and Hicksville is 73 miles. The road distance is 78.4 miles. How do I travel from Orient Point to Hicksville without a car? 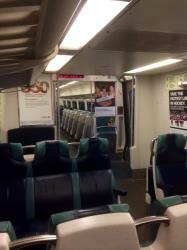 The best way to get from Orient Point to Hicksville without a car is to train which takes 3h 57m and costs $15 - $24. How long does it take to get from Orient Point to Hicksville? It takes approximately 3h 57m to get from Orient Point to Hicksville, including transfers. Where do I catch the Orient Point to Hicksville bus from? 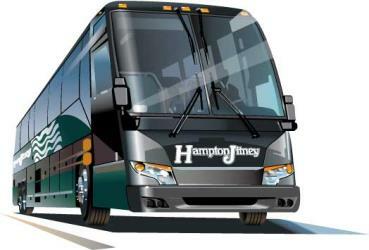 Orient Point to Hicksville bus services, operated by Hampton Jitney Inc., depart from Orient Point station. Train or bus from Orient Point to Hicksville? The best way to get from Orient Point to Hicksville is to train which takes 3h 57m and costs $15 - $24. Alternatively, you can bus via Riverhead, which costs $11 - $16 and takes 4h 59m. 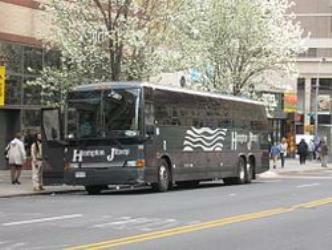 Where does the Orient Point to Hicksville bus arrive? Orient Point to Hicksville bus services, operated by Nassau Inter-County Express, arrive at W John St + Wycoff St station. Can I drive from Orient Point to Hicksville? Yes, the driving distance between Orient Point to Hicksville is 78 miles. It takes approximately 1h 42m to drive from Orient Point to Hicksville. What companies run services between Orient Point, NY, USA and Hicksville, NY, USA? 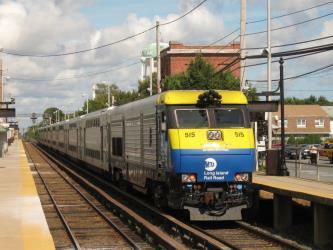 You can take a train from Orient Point to Hicksville via Adams Street, Greenport, and Ronkonkoma in around 3h 57m. Alternatively, you can take a bus from Orient Point to Hicksville via Riverhead County Center, Smith Haven Mall, Ronkonkoma LIRR, and Ronkonkoma in around 4h 59m. Where can I stay near Hicksville? There are 91+ hotels available in Hicksville. 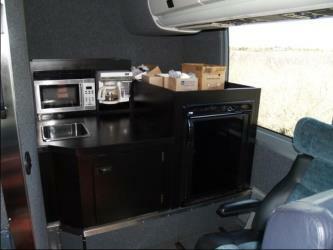 Prices start at $100 USD per night. Old Westbury Gardens is the former estate of John Shaffer Phipps (1874–1958), heir to a U.S. Steel fortune, in Nassau County, New York. Located at 71 Old Westbury Road in Old Westbury, the property was converted into a museum home in 1959 and is open for tours April through October for a fee. The Cradle of Aviation Museum is an aerospace museum located in Garden City, New York on Long Island to commemorate Long Island's part in the history of aviation. It is located on land once part of Mitchel Air Force Base which, together with nearby Roosevelt Field and other airfields on the Hempstead Plains, was the site of many historic flights. So many seminal flights had occurred in the area that by the mid-1920s the cluster of airfields was already dubbed the "Cradle of Aviation", the origin of the museum's name. Planting Fields Arboretum State Historic Park, which includes the Coe Hall Historic House Museum, is an arboretum and state park covering over 400 acre located in the village of Upper Brookville in the town of Oyster Bay, New York. Eisenhower Park, formerly known as Salisbury Park, is centrally located in East Meadow, New York bordered by Hempstead Turnpike on the south and Old Country Road on the north. At 930 acre, it is larger than Central Park (in Manhattan, New York City), with much of the area devoted to three 18-hole golf courses, including the Red Course, host to the annual Commerce Bank Championship (Champions Tour). The park is home to the September 11th Memorial for residents of Nassau County. Rome2rio makes travelling from Orient Point to Hicksville easy. Rome2rio is a door-to-door travel information and booking engine, helping you get to and from any location in the world. 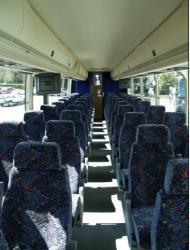 Find all the transport options for your trip from Orient Point to Hicksville right here. Rome2rio displays up to date schedules, route maps, journey times and estimated fares from relevant transport operators, ensuring you can make an informed decision about which option will suit you best. Rome2rio also offers online bookings for selected operators, making reservations easy and straightforward.